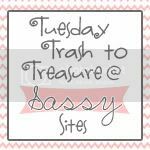 Thanks for joining us for another FABulous week of Trash to Treasure Tuesday! We had 92 entries last week!! YAHOO! I am in love with this chair from Champagne Taste! LOOOOVE those colors!! Homeroad turned an armoire door into a gorgeous coffee table. I WANT this! 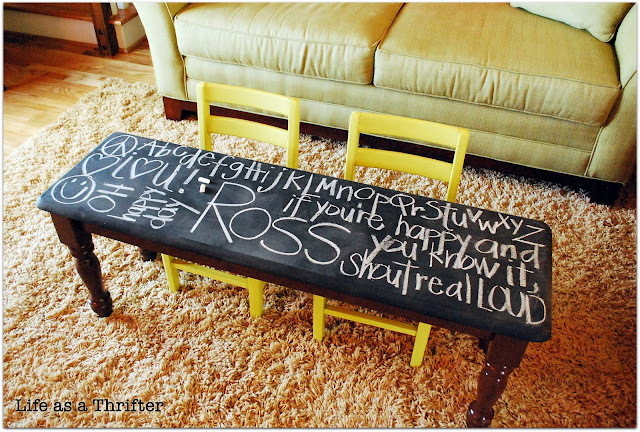 What a fun idea to turn an old bench into a chalkboard table! I might just have to borrow this idea from Life as a Thrifter! Check out the master bedroom transformation from Design Dreams. She did a fabulous job! First of all, I wish I had a piano room in my home. 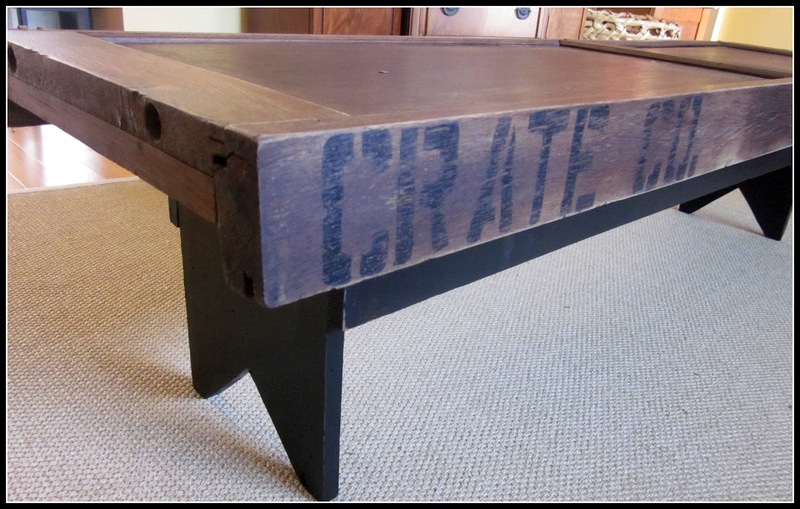 Second, I wish I had this adorable shabby chic coffee table! Primp always does amazing things with her T2T. Got old wood laying around? Make an adorable sign! I am LOVING pallet art right now. This cute one comes from Lolly Jane! and another awesome pallet creation! This one is from West Furniture Revival. LOVE IT! P3 (that's what I like to call her) transformed her laundry room! It's beautiful! Thank you so much for featuring my crate and pallet union jack! I'm off to check out the other teriffic projects. Thank you so much for the feature! and for hosting this fabulous party. P3!!! We are thrilled to be featured here on Sassy...thank you, Darling! Hope you have a wonderful week. YAY for LJ's pallet art! YOURS is so cute too! We should make up a craft kit together, then craft it and see how different it looks when we're done with our own spin on it. Wanna?? Love you! Marni thank you so much for featuring my coffee table. I'm putting your button on my sidebar! Thanks so much for the feature--what a nice surprise! YOURS is so lovely too! We should create up a art kit together, then art it and see how different it looks when we're done with our own rotate on it. Wanna? ?